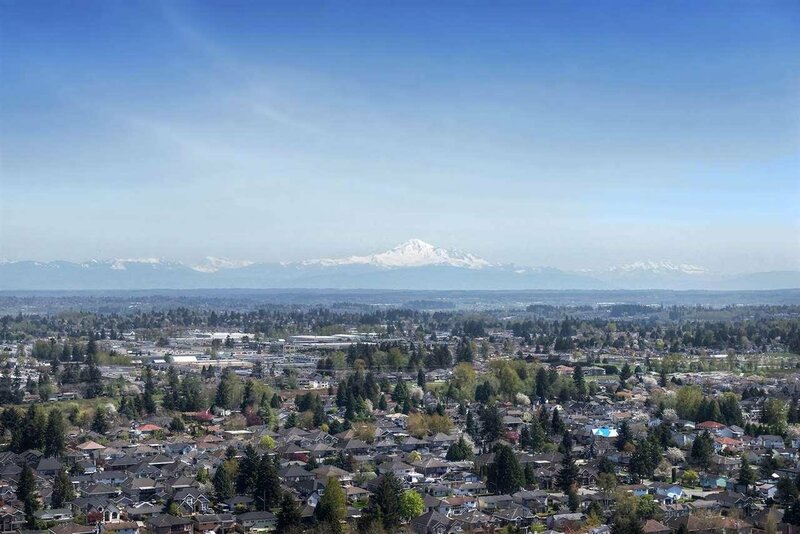 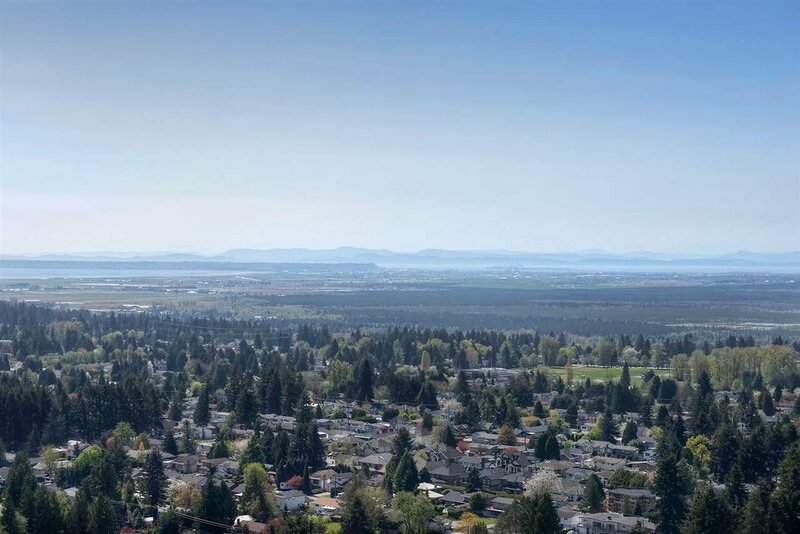 PANORAMIC VIEWS of Mt Baker & Boundary Bay! 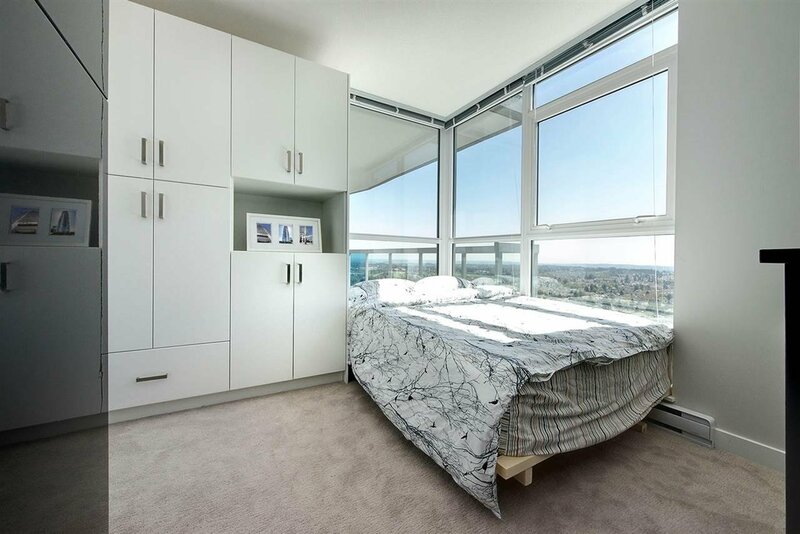 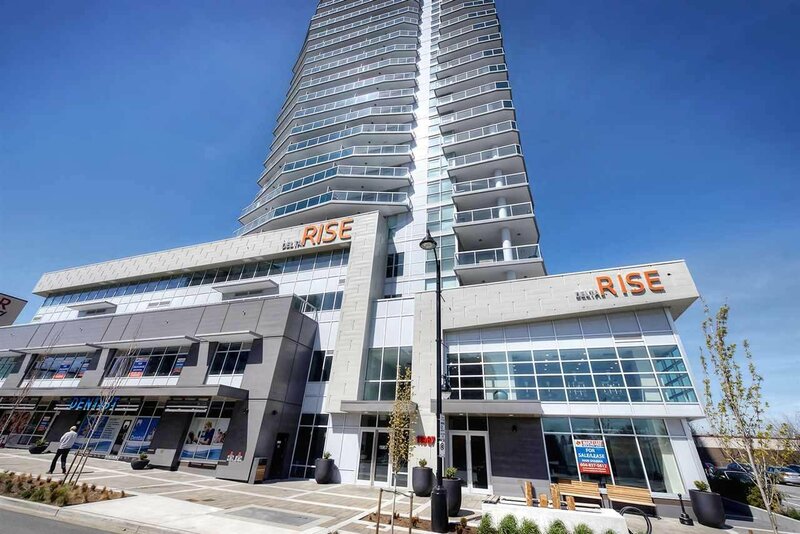 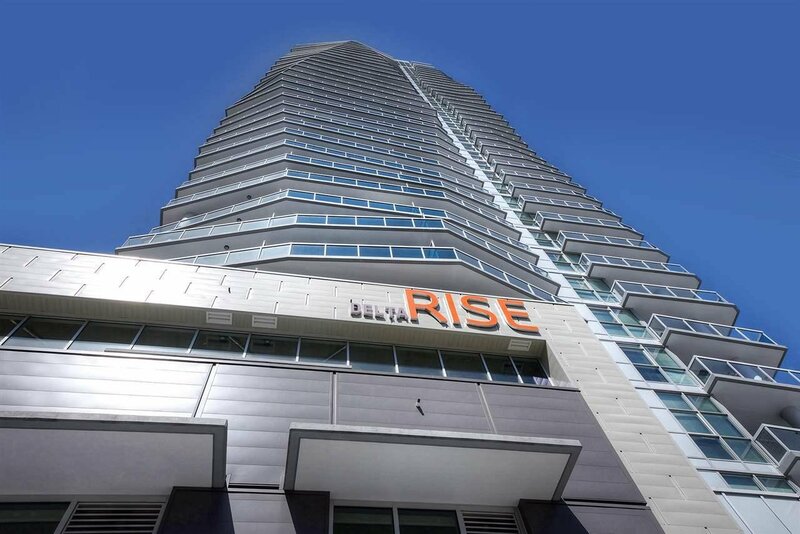 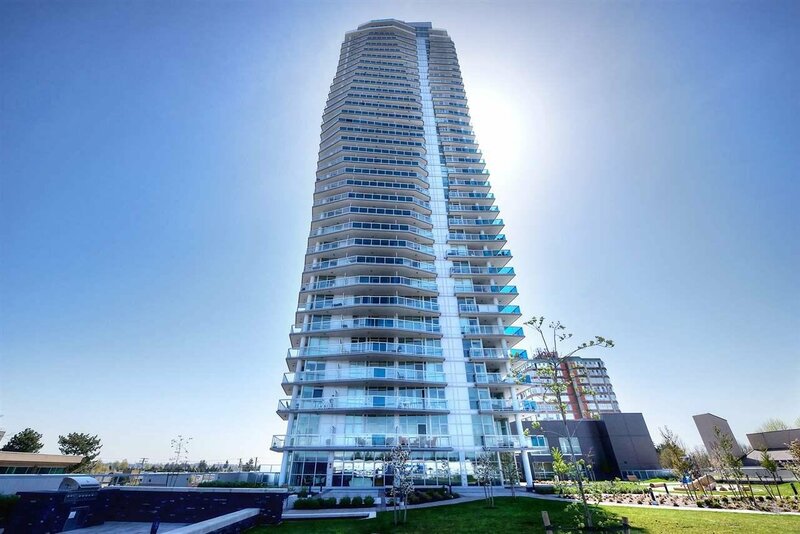 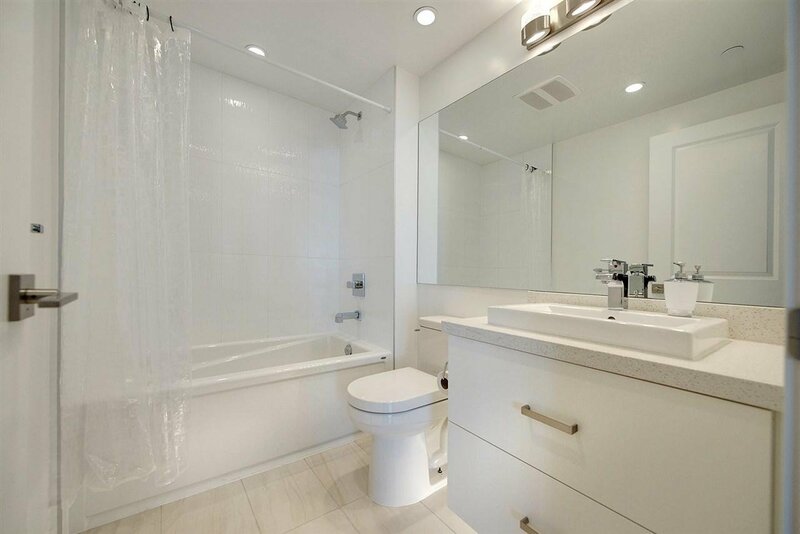 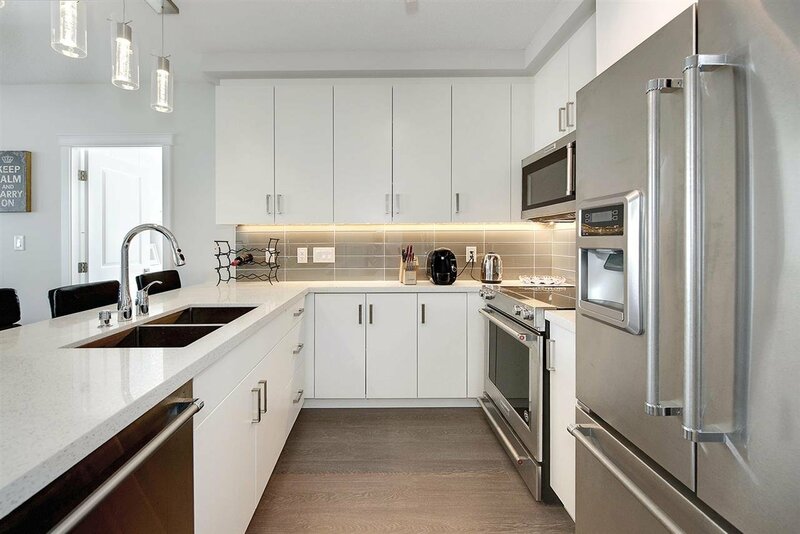 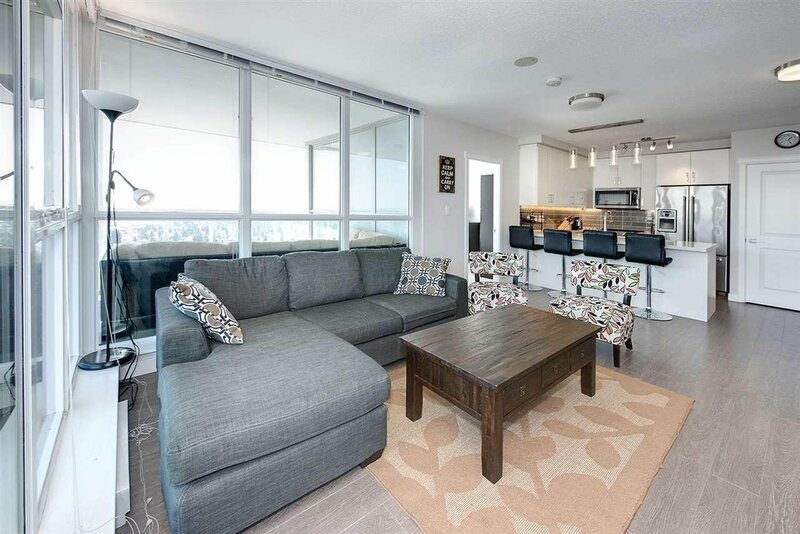 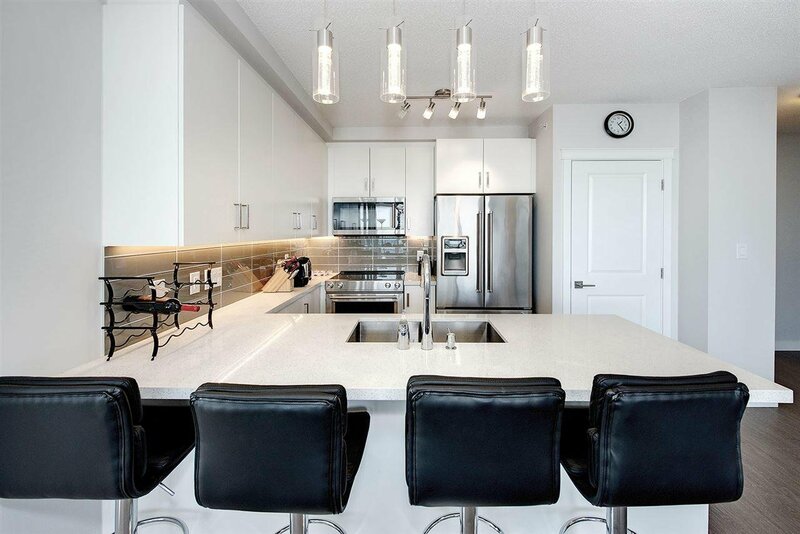 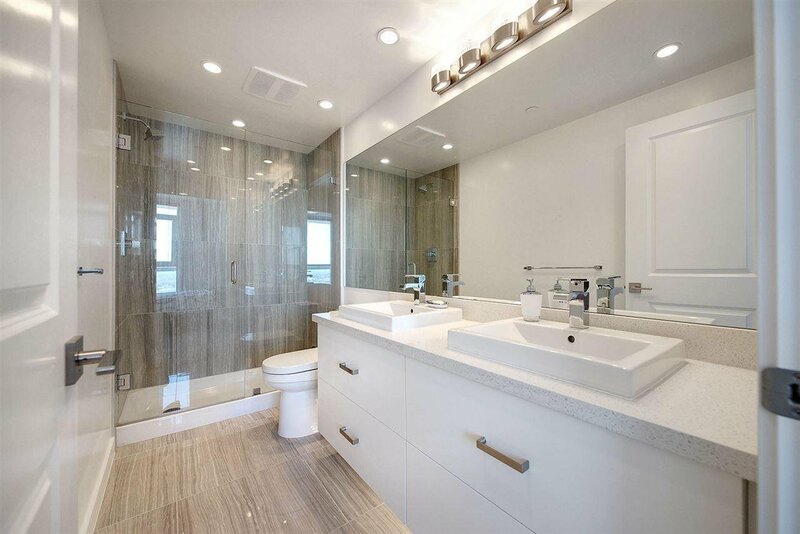 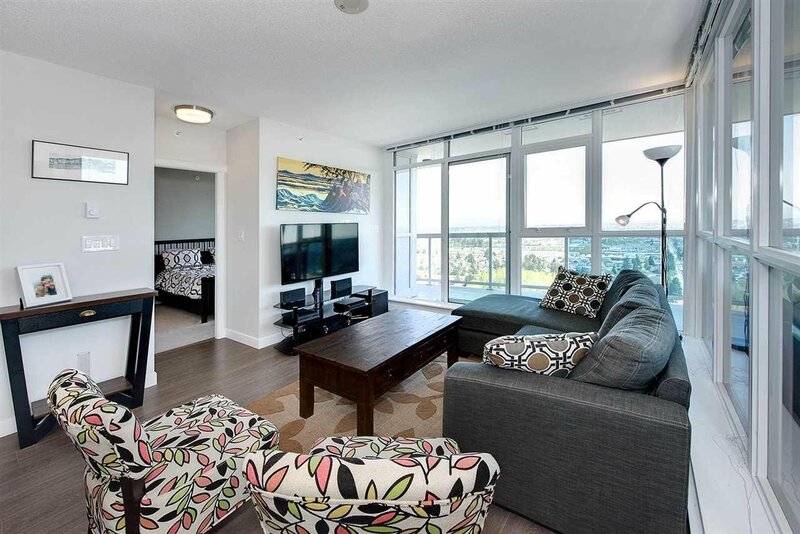 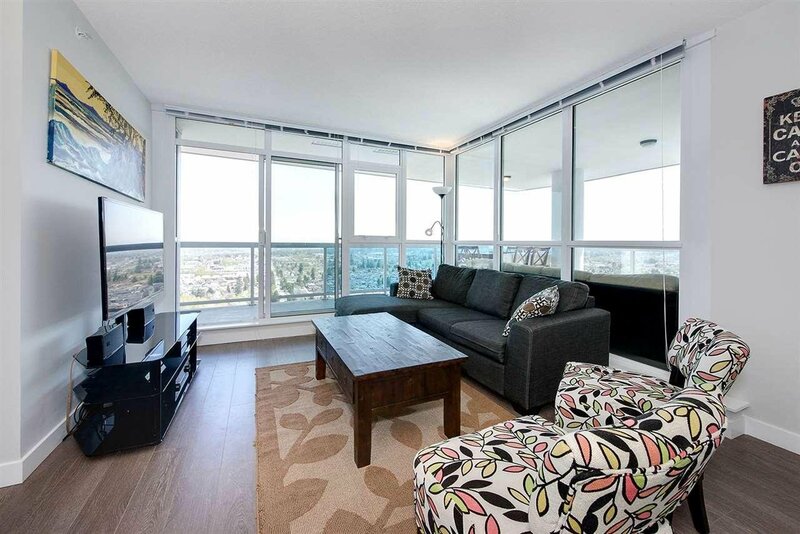 Beautiful 2 bed & den CORNER condo featuring high end s/s appliances, quartz counters with eating bar & floor to ceiling windows for views from every room! 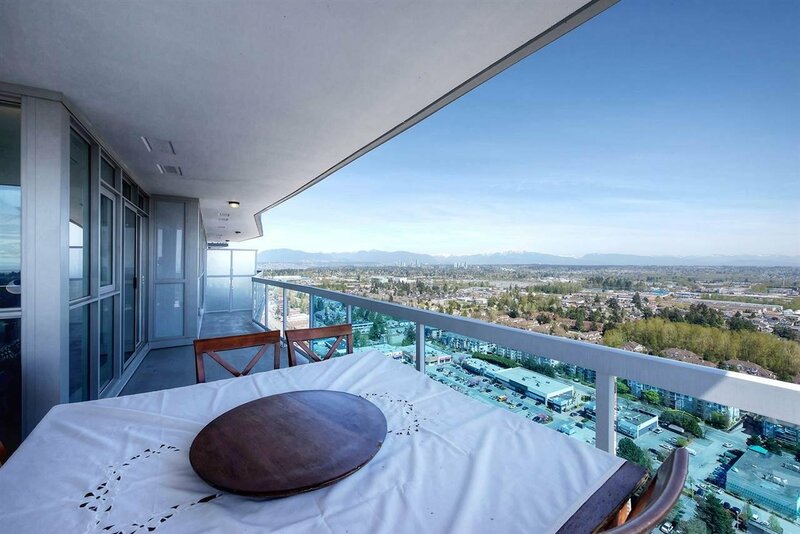 This bright 843 sq ft condo boasts LARGE wrap around deck with one of the best SOUTH views in complex & loads of outdoor living space. 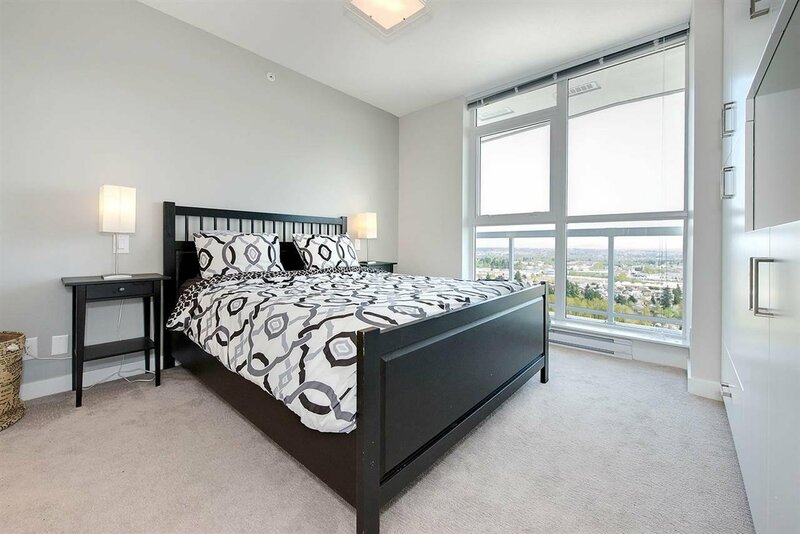 Features built in desk (quartz top) in den, built ins in both bedrooms, heated tiles in spa-like bathrooms. 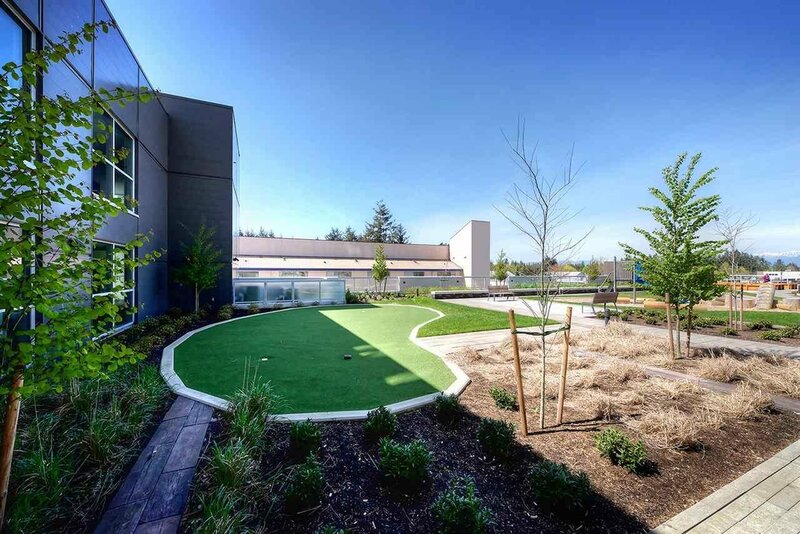 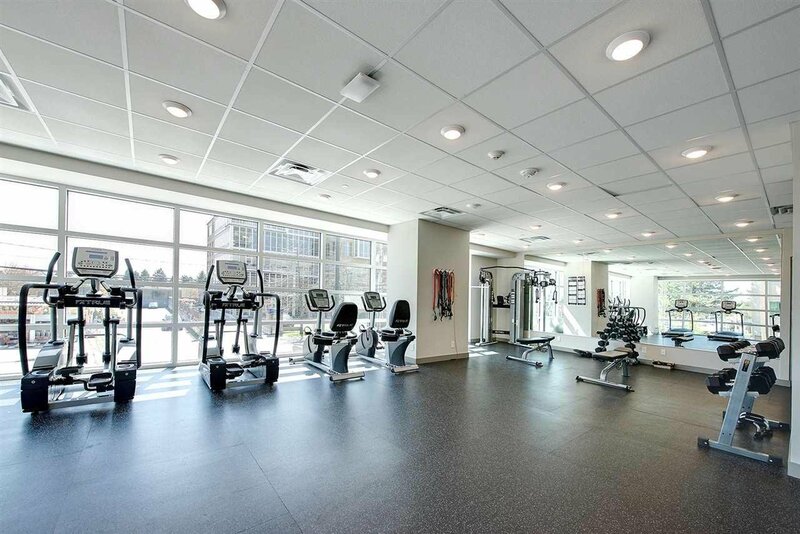 Amenities in this very desirable CONCRETE building include fabulous gym, lounge, outdoor area with BBQ, fire pit, community gardens & playground. 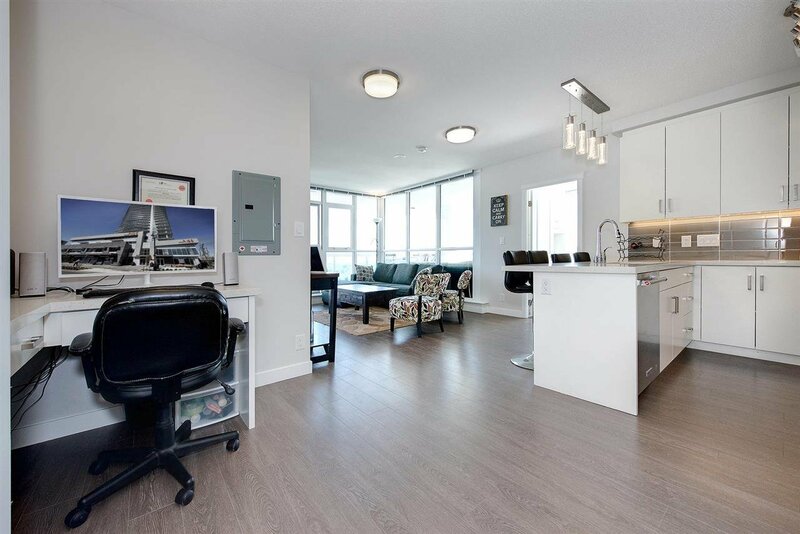 Rentals & 2 pets ok, TWO parking stalls, storage locker, concierge. 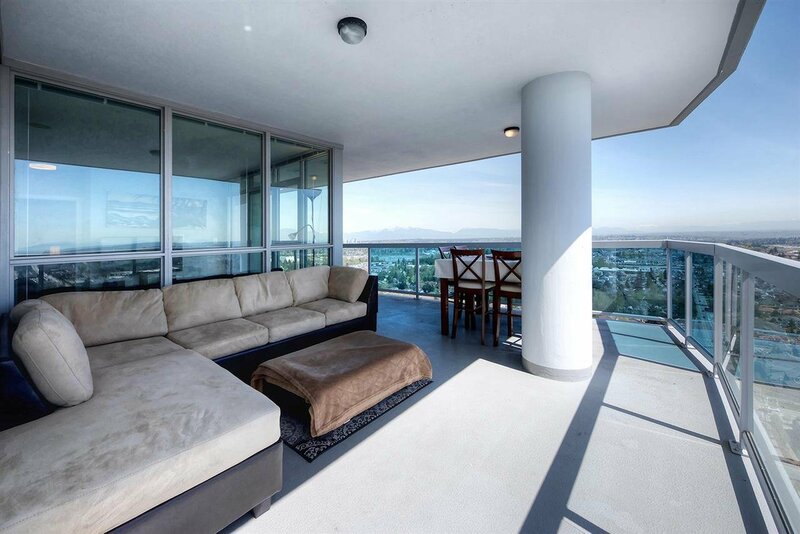 Walk to everything & easy access to hwy. 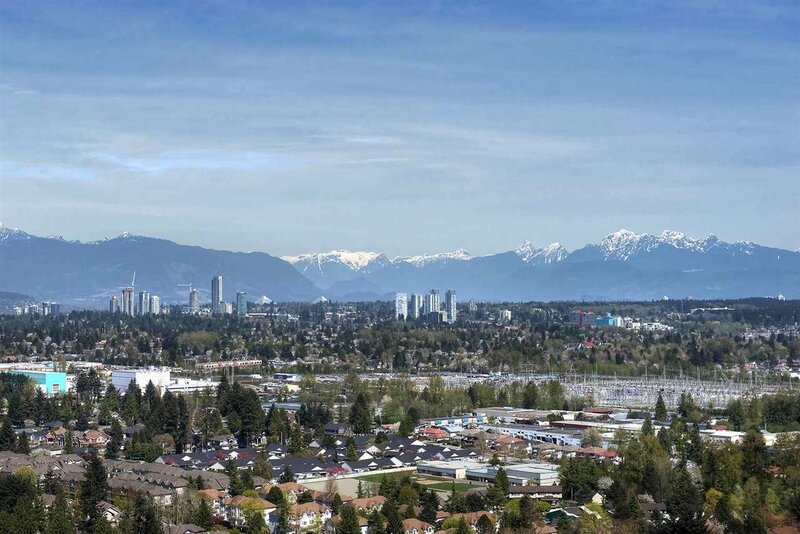 OPEN SAT APR 27 (2-4).